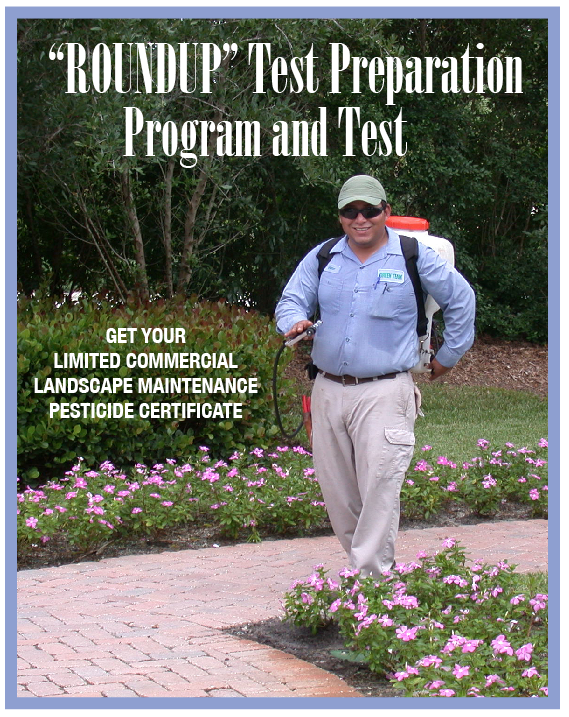 WHO: Limited Commercial Landscape Maintenance Class and Exam The required 6 hour licensing class/ exam, coordinated by Doug Caldwell, for commercial landscape maintenance employees , who need to apply pesticides in landscape beds. This is commonly known as the “Round-Up” certificate. This category is not for turf applications. WHEN: Friday, August 14, 2015 from 8:00 am to 5:00 PM WHAT: For those taking the Limited Category Exam: bring a check for $150 (made out to D.A.C.S. ), and a completed DACS 13604 application form, along with a (1 ½ x 1 ½ inch) photograph. Please contact the Bureau of Entomology and Pest Control at (850-617-7997) for an application packet. We can also help you with this at the Extension office. Lunch is not provided, bring a sack lunch or there are lunch locations nearby. You may take the 80 question, multiple choice test (only offered in English) the day of this training or within a year ($150 each time) after this class. You will need to take the 6 hours over again if you wait more than a year. 7:30 to 7:55 Come early to have your paperwork checked. 2:40 to 4:40 Exam: Limited Commercial Landscape Certificate test. Test is optional. Jennifer Carr received her Master's degree in Sustainable Development Practice from the Center for Latin American studies and her Bachelor's degree in Wildlife Ecology and Conservation from the University of Florida. She is the lab manager of the Biosecurity Research & Extension (BRE) lab in the Department of Entomology and Nematology at the University of Florida.